This week I was on Focus on the Family sharing about the year that changed everything. It was January 2007 when we completed our one year radical sabbatical. It means I was frazzled, exhausted and discouraged. I recognized our family was being held hostage by busyness. We were running from one activity to the next, barely at home together at the same time and it was exhausting. Dinners were unwrapped from a bag or microwaved. Older, wiser parents reminded me. “You’re going to miss this. You’re going to want these days back.” Except I didn’t always agree. Sure, I knew I’d miss bedtime stories and cuddling with soft baby cheeks, but those moments were overshadowed by cranky, tired kids who were being shuttled from activity to activity, because that’s what good moms do. Good moms don’t do things because their kids want them to. Good moms don’t follow the crowd—they had that lesson on peer pressure in high school, remember? Good moms see the bigger picture- the end game. They have adult perspective. End of story. What did our family sabbatical do for the long haul? Communication. Hanging out together as a family became the norm. We learned to talk to one another again. There were a lot more meals around the kitchen table. We discovered we were pretty interesting people—and incredibly funny, too. Ten years later, we still gather together and have fun. 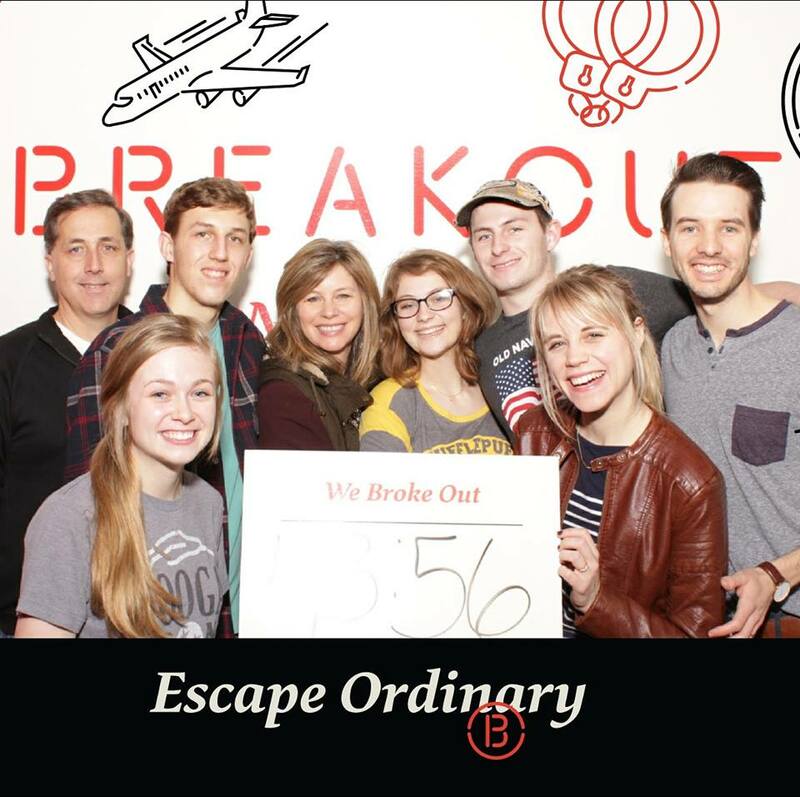 A few weeks ago we did one of those “escape rooms” and had a blast. Every family should experience a museum heist at least once in their life. Critical Thinking: The more we learned to communicate the better our kids became at critical thinking. As the years passed, they were encouraged to share their points of view and then explain why they believed something to be true – which gave way for some amazing discussions. We wrestled with everything from rent control to global warming—and now our gatherings are a kaleidoscope of topics like immigration law and gun control. Does that make you bristle? It doesn’t have that same effect on my children. My kids know how to have a rational conversation and verbalize their beliefs while STILL being respectful and kind–seriously. Character. Since taking a radical sabbatical, I learned very few kids grow up to be soccer-playing accountants. Spending the lion share of my parenting time on soccer fields and sitting in the bleachers at school gymnasiums shouldn’t be where I am most. Instead, that year I had time to teach my kids good manners and communication skills. This paved the way for being able to take them places and not worry about bad behavior. My four know how to extend their hand for a shake, look a person in the eye when they speak and the value of keeping their word when it’s hard. When we began our radical sabbatical our four were between the ages of 5 and 15. Today, three of those four are adults. Time never stood still like I thought it did back then. God showed me the importance of the quality of our time–not the quantity of it. Yet, we made a stand and stood up against the tic toc of the clock. The Lord showed us how to number our days–by being the wisdom behind our decision to slow down so long ago. Was that year easy? Not always. Two of our four kids were teenagers back then and resented us for taking them off the pitcher’s mound and out of singing lessons. Not being liked as a mom wasn’t my favorite feeling, but I just reminded myself that my kids don’t have adult perspective. What they don’t like now – they’ll appreciate later. Today, they know the value of unscripted family moments and the adventure a less than busy life can bring. Absolutely—except this time, I’d do it years earlier. Joanne Kraft is a frequent guest on Focus on the Family and Family Life Today. Joanne is the author of Just Too Busy-Taking Your Family on a Radical Sabbatical and The Mean Mom’s Guide to Raising Great Kids. She’d be the first to tell you she has four kids who are great – most of the time. Thank you for sharing your boldness and courage. I am struggling with being away from home so much with basketball for my two (of three) children. We also do homeschool coop three days a week. Well, it’s really a homeschool academy. The latter has been great for our family. The burden lies in the three days a week BB practice for one, two days a week BB practice for the other, plus all the games for the both of them. When anyone asks how many kids I have, I always answer with “Only three.” So, I really don’t understand why I feel so overwhelmed and behind. The inside of our house looks like the aftermath of a cyclone or tornado. I want time at home with my kids, my husband, my pets, and ME (my thoughts, my long-ago hobbies, and my activities of replenishment). However, I am concerned that my kids will that they are “missing out” on being with their friends. I get that. I want them to have that, but I don’t want the time commitment that comes with it. We’ve done this for three years now. I even see how one of my children’s schooling is suffering. Though we homeschool with other families), she has a difficult time managing the course work for various classes. (I think that might be related to a hormonal imbalance [i.e. thyroid] which we are checking on.) Anyway, thank you for sharing the concept and reality of a Radical Sabbatical. It definitely caught my eye and attention. Lisa, thanks so much for sharing. I’m sure there’s ALOT of moms out there who needed to hear just what you said about the craziness and busyness. I do hope what we did gives you the courage to do something different, too. Keep us posted!